Click on the image above to download & share on social media! On July 23, a fire started at Carr Powerhouse in Shasta County, CA. That fire has now grown to over 100,000 acres, and is still under low containment. This fire has greatly effected Redding California and surrounding areas displacing over 38,000 families and destroying nearly 1,000 homes and businesses. Our hearts are heavy for all those who have been affected by this tragedy. Join us as we link arms and hearts with Redding. We are believing God will fully rebuild, restore and revive Redding. This is a pre-order for our LIMITED EDITION Redding Relief T-Shirts. We are donating 100% of ALL proceeds to aid those who lost their homes in the tragic Carr Fire. Since this is a pre-order, please expect 4-5 weeks for delivery from order date. 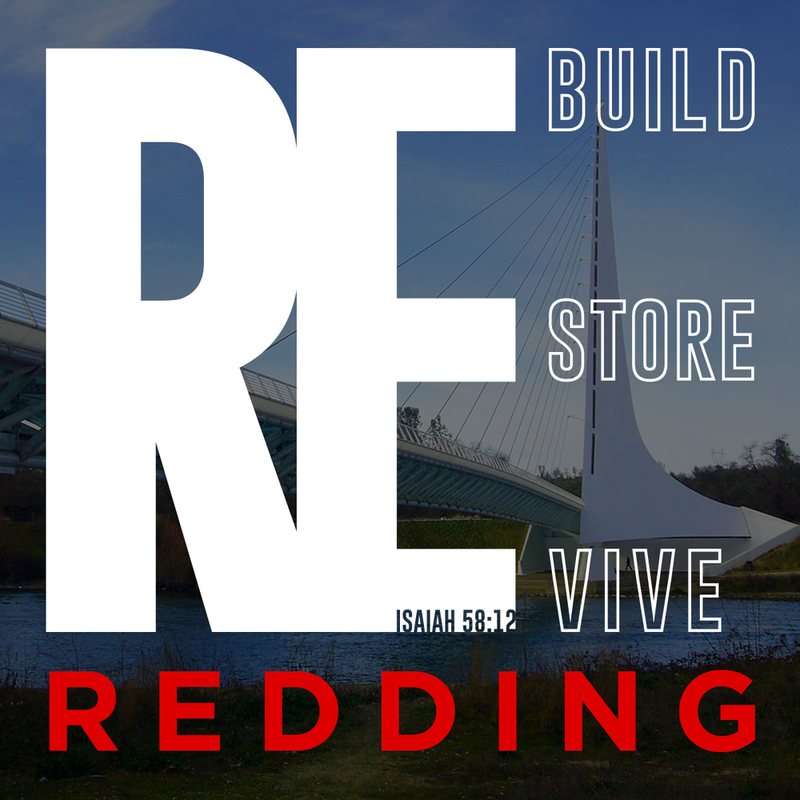 We chose this design as a declaration over the city of Redding as we are fully believing God that Redding will be rebuilt, restored and revived! The front of the shirt says ”Rebuild Restore Revive” with Isaiah 58:12. For Redding to not just rebound, but to be able to fully recover the way God intended our city to. List your house on https://www.faithstay.com and help those who are without a home either short term or long term.